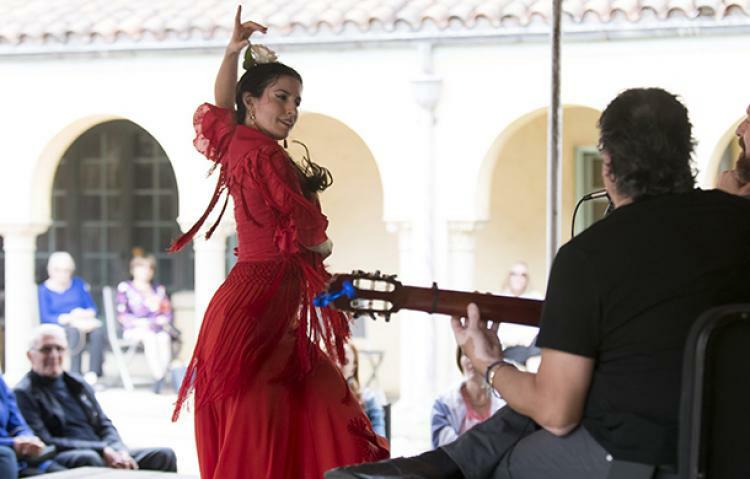 Be transported for a day amid Caramoor’s architecture and sprawling grounds with the characteristic dance and song of Spain, bursting with passion, color, and rhythm. Our Wednesday Morning Concerts feature a 45-minute concert, followed by a tour of the Mediterranean-style Rosen House and its collection of fine and decorative art amassed by our founders, Walter and Lucie Rosen, and an optional buffet lunch inspired by Spanish cuisine. Save time afterward to explore the lush and expansive gardens!